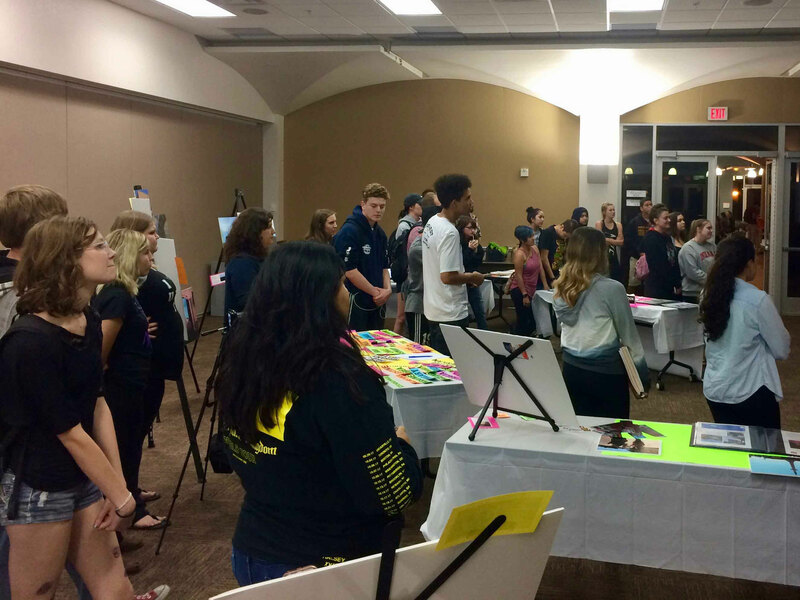 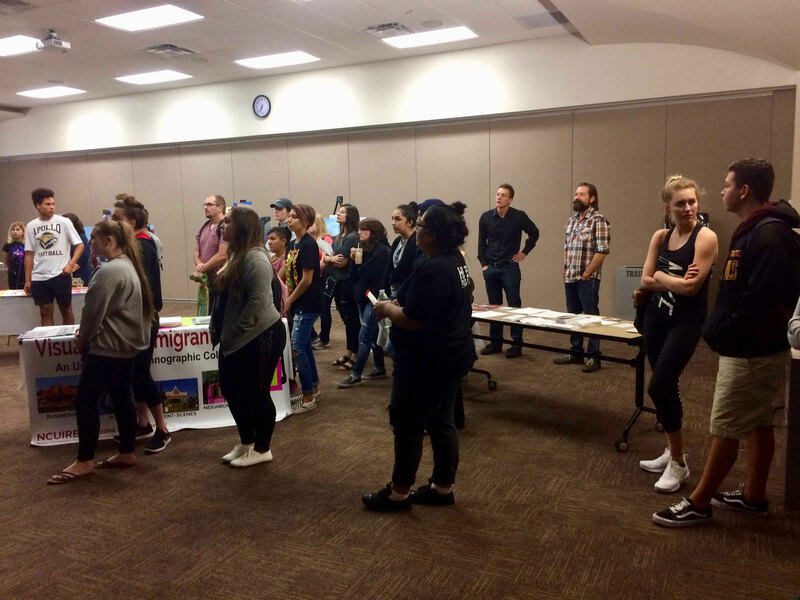 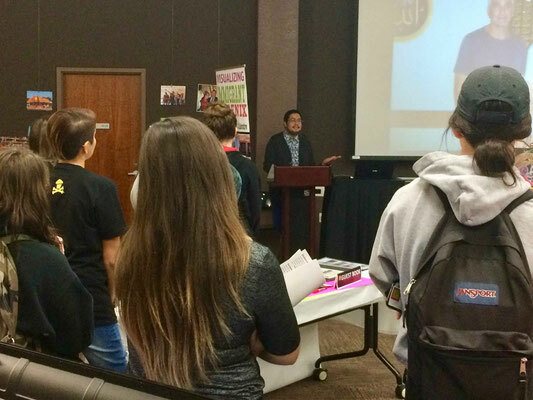 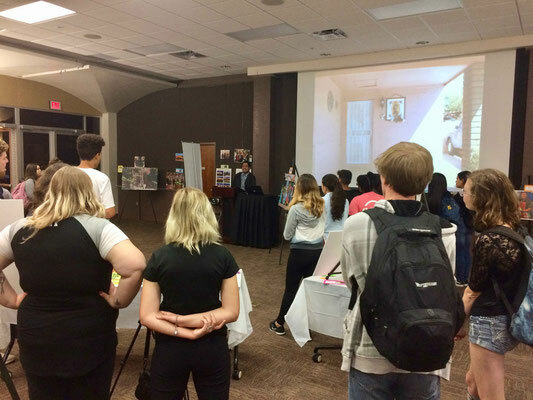 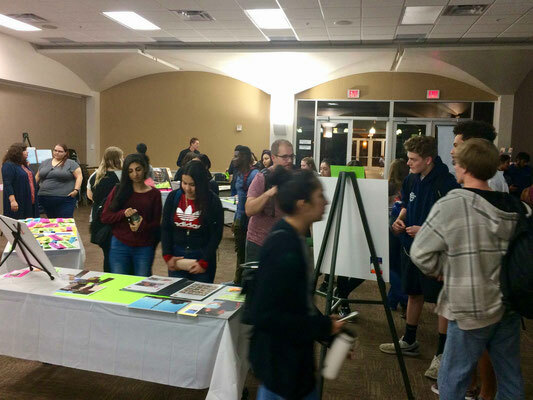 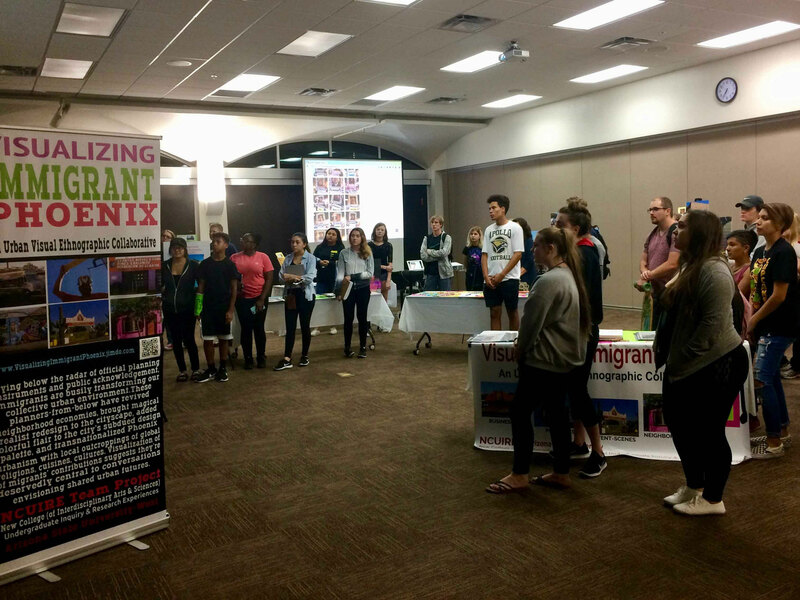 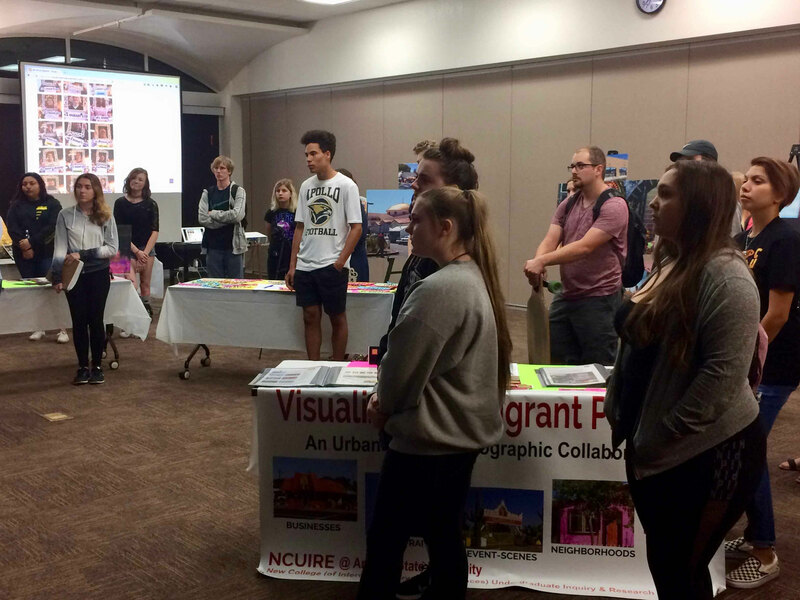 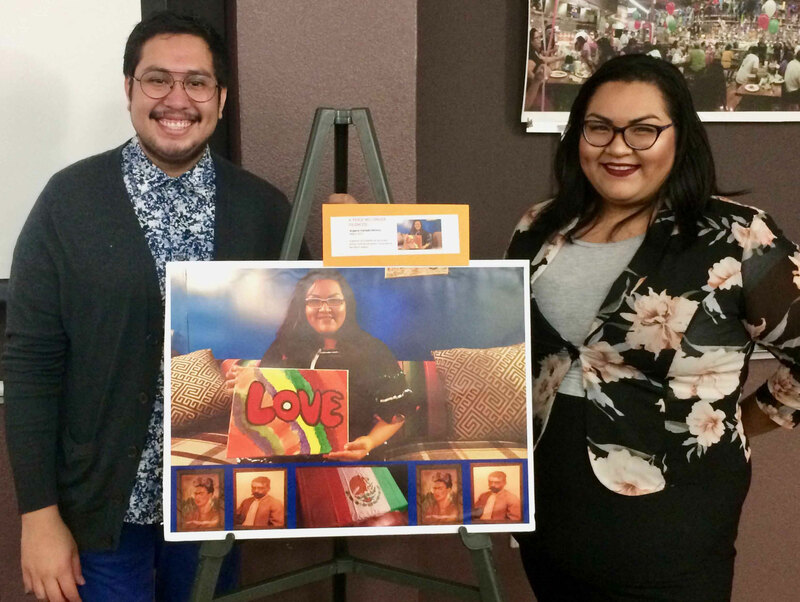 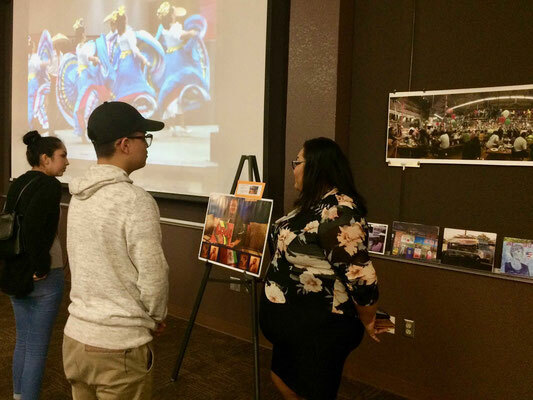 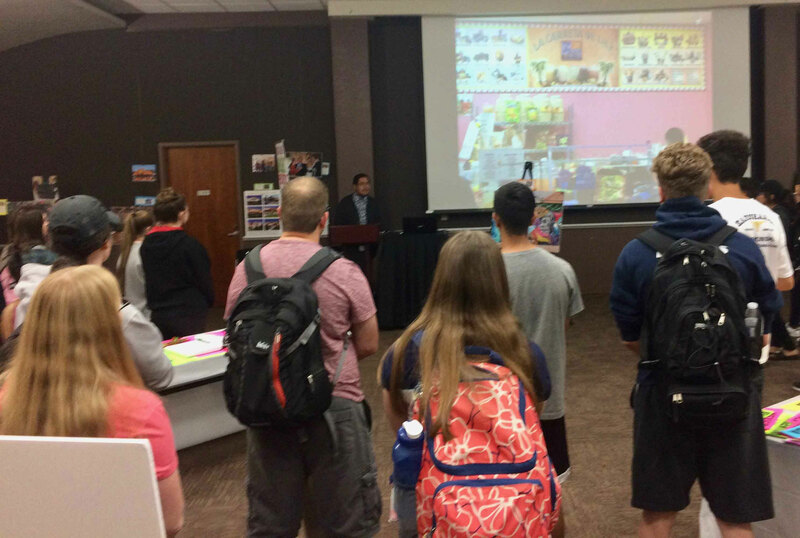 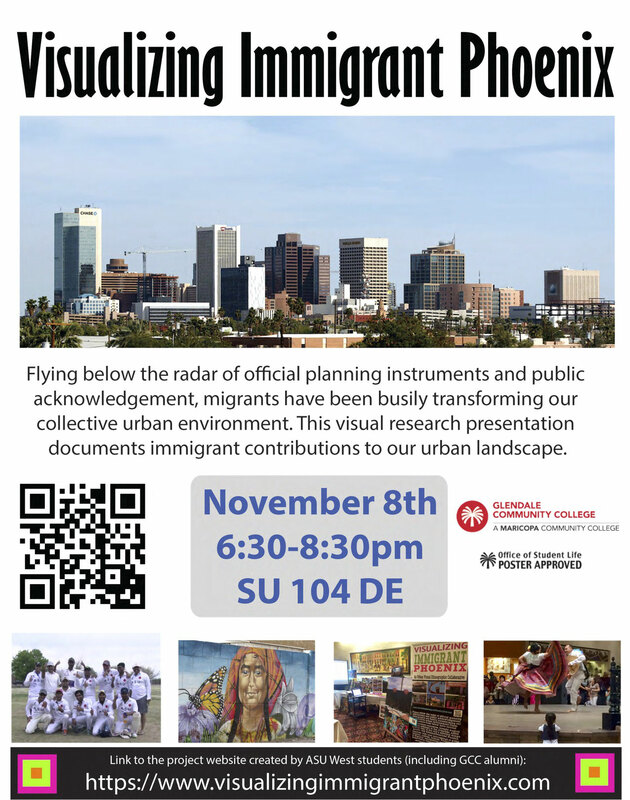 Many thanks to sociology professor Dr. RJ Leamaster for inviting us to present our exhibition to Glendale Community College students and faculty. 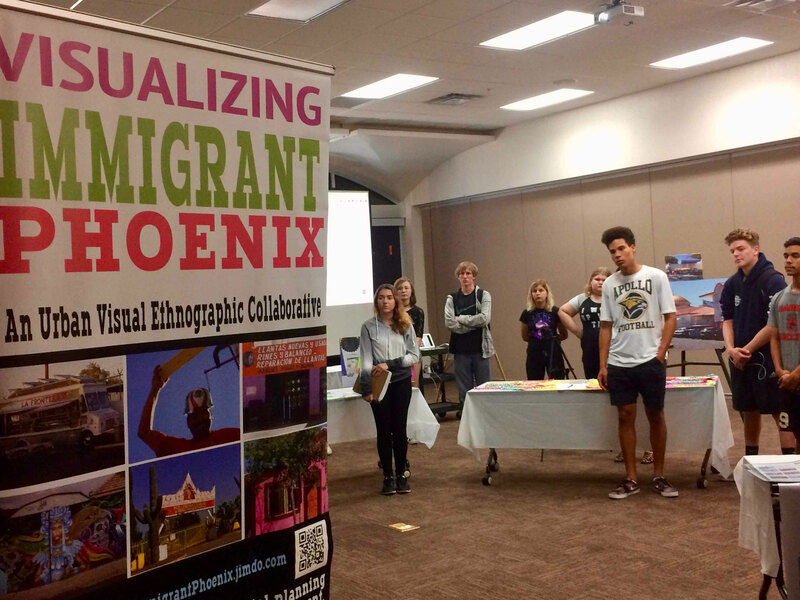 As GCC alums, our researchers Argenis and Christen were especially pleased to share our work with current GCC students, and encouraged them too to make the transfer to ASU West. 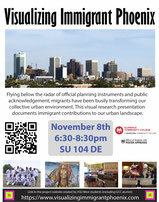 Cynthia too helped present our project, and thanks to Christen (now an ASU alum too!) 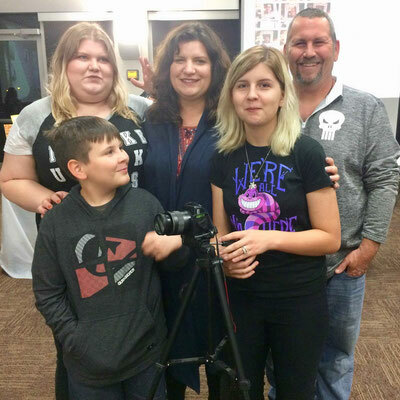 for bringing nearly her whole family to help out! One of Argenis's stories came to life when his interviewee Griselda (photo below), joined the exhibit! Read her story, A Voice No Longer Silent.